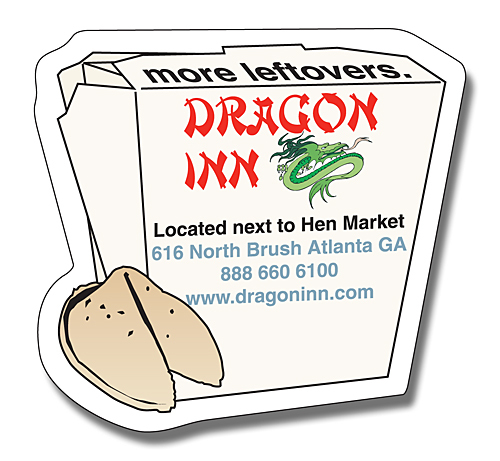 Magnet - Chinese Food Box Shape (2.75x2.625) - 25 Mil. 2.75 in. x 2.625 in. Magnets come standard with stock Chinese box art.